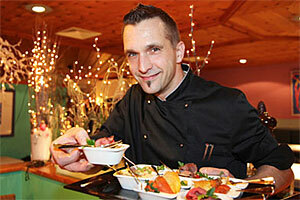 Amadeo Hotel Schaffenrath, in the southern section of Salzburg, pleases guests with its many different offerings. The 4-star hotel's 48 rooms are characterized by a friendly atmosphere, while the seminar facilities and 28 serviced apartments offer plenty of extra space for families, business travelers and Salzburg visitors alike. 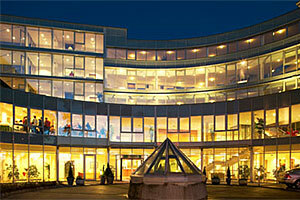 Known for its high quality accommodations, the hotel in Salzburg offers tourists and business people a home-away-from-home for an extended period of time. As a business traveler, you will learn to appreciate the stylish, modern atmosphere in the seminar rooms and serviced business apartments suitable for long-term stays. Internet access, a personal kitchenette, work areas, and a separate bedroom make our apartments the first choice for any business trip to Salzburg. Families, groups, and individual guests feel right at home in the comfortable atmosphere found in the 48 high-quality non-smoking rooms. Each room is designed to be comfortable and friendly, to become your home away from home while you are in Salzburg. Different room types at the 4-star hotel are ready to accommodate your needs: Whether you want a double room for just one person or as a family room, or separate bedrooms with a connecting door … Amadeo Hotel Schaffenrath can offer you exactly what to expect from a modern 4-star hotel in Salzburg. The restaurant's approach to gastronomy starts in the morning. An extensive breakfast buffet with our "Vitalecke” (area for vital nutrients) will ensure a good start to your day. 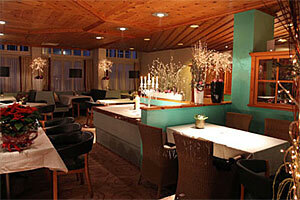 At the Snack Bar and Café-Bistro Ginzkey`s we treat you with light pastries and healthy snacks between meals. The hotel is also an ideal starting point for excursions and sightseeing. Sights in Salzburg's historical old town can be reached in minutes (by public transport) and Hellbrunn Castle with its famous Trick Fountains and Zoo is within walking distance! If you wish to discover Salzburg by bus, why not take the Sound of Music Sightseeing Tour? Contact us for a non-binding room inquiry or select the services that are right for you with our Salzburg holiday packages or seminar arrangements. The employees of Amadeo Hotel Schaffenrath look forward to hearing from you! 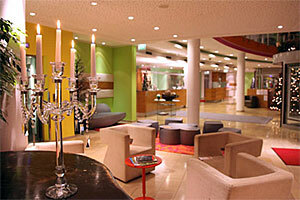 Arriving by car, rail, bus or airplane is stress-free and makes the hotel a great choice for your Salzburg holiday.